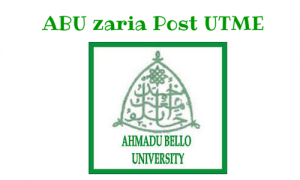 The Ahmadu Bello University Zaria aka ABU Zaria Post UTME – Allyou need to know. This page is ideally for smart folks who have chosen to study at the Ahmadu Bello University Zaria. This is one guide you must read. Facts and figures stated here are based on the recently concluded post utme of the school. As time goes by, latest development regarding ABU Zaria will be updated on this page. Visiting aspirants are advised to visit this page regularly to stay updated on strictly ABU Zaria Aptitude Test issues. One of the best citadel of learning that Nigeria as a country boasts of is the Ahmadu Bello University Zaria. The University remains one of the oldest federal university in the country and also the largest. Founded in 1962 the school is named after the Sardauna of Sokoto, Alhaji Sir Ahmadu Bello, the first premier of Northern Nigeria, ABU Zaria as it is popularly known offers a lot of courses at undergraduate and post graduate leveland these courses, their O’level requirements and their subject combination are all captured in the table below. An aspirant of a prestigious university like Ahmadu Bello University should know all these requirements before considering choosing the school as university of first choice in JAMB. Generally, ABU Zaria conduct post utme screening exercise for candidates who scored above 180 in jamb and also chose the school as their University of first choice. Please note that ABU Zaria post-UTME exam is totally computer based (CBT). Ahmadu Bello University usually conducts her post-UTME screening exercise between August and September every year. Aspirants should visit www.putme.abu.edu.ng register for the exam. Application form costs N2,200. An e-transact slip is generated on putme.abu.edu.ng and the slip is then used for payment in any of the designated banks within Kaduna state. Below are the list of courses offered in ABU Zaria plus the O’level (waec / neco) requirements. The Jamb UTME appropriate subject combination for each course is also stated in the table. International Studies English language, literature in English, government and any other 2 social science subject Literature, government and any other social science subject. Insurance English language, literature in English, government and any other 2 social science subject Literature, government and any other social science subject. Literature in English English, maths, Literature in English, government and any other social science or arts subject. Government, literature in English and any other social science subject. Get the ABU Zaria Post UTME Past Questions and Answers Here! Have any Questions about ABU Zaria. Please use the comment box below to ask. We’ll be glad to help out!